Foreign Waters: Spreads Like Wild Fire. 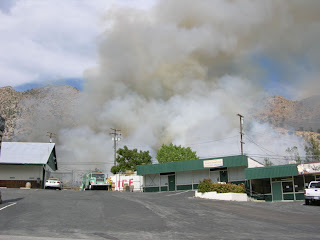 Kernville, California. 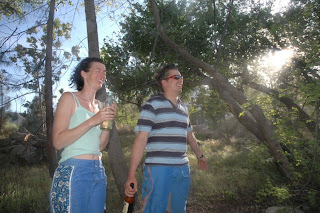 We were sat waiting for a friend in a carpark when we saw a tree catch fire. 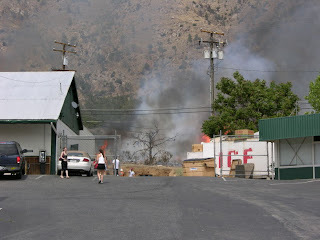 People began calling the fire brigade as it was within 10ft of the general store and a gas station. Arriving quickly on the scene was the fire brigade and the forest fire teams. All day we have watched the fire grow and spread. 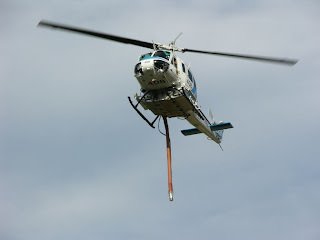 Numerous planes and helicopters have been dousing the mountain with water and fire retardent powder. 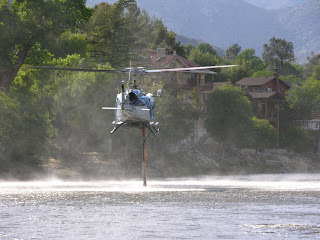 We walked to the river to witness the helicopter pick up water...very impressive. 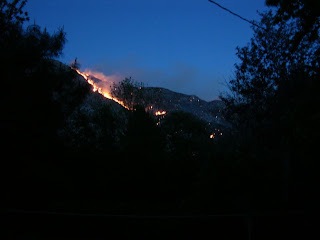 Unfortunately 9 hrs later the fire has spread over the mountain top and is now burning along the mountain. It seems it has been left to burn itself out...but from the house we are staying at we have amazing views of it quickly spreading...it looks like volcanic lava running. 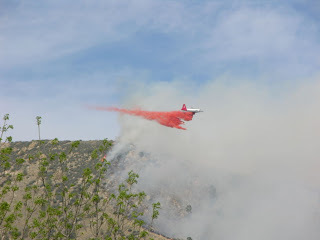 We are here for a couple of days so we will keep you posted on the fire. Where are all the Aliens!! How Dirty Kayakers get Clean..
Blue Skies in North Carolina.